Google has announced its acquisition of Nest for $3.2 billion. This is Google’s biggest and most newsworthy acquisition in the Internet of Things / SmartHome space. Perhaps it forebears its intent to integrate data captured from smart sensors into its search results? More likely is the creation of multiple Google Smart Devices that are deeply integrated together through the Android operating system. An exciting possibility indeed! Google Inc. (NASDAQ: GOOG) announced today that it has entered into an agreement to buy Nest Labs, Inc. for $3.2 billion in cash. On the heels of recent news that Samsung has overtaken Apple as the largest Smartphone manufacturer, one is seeing more aggressive marketing. 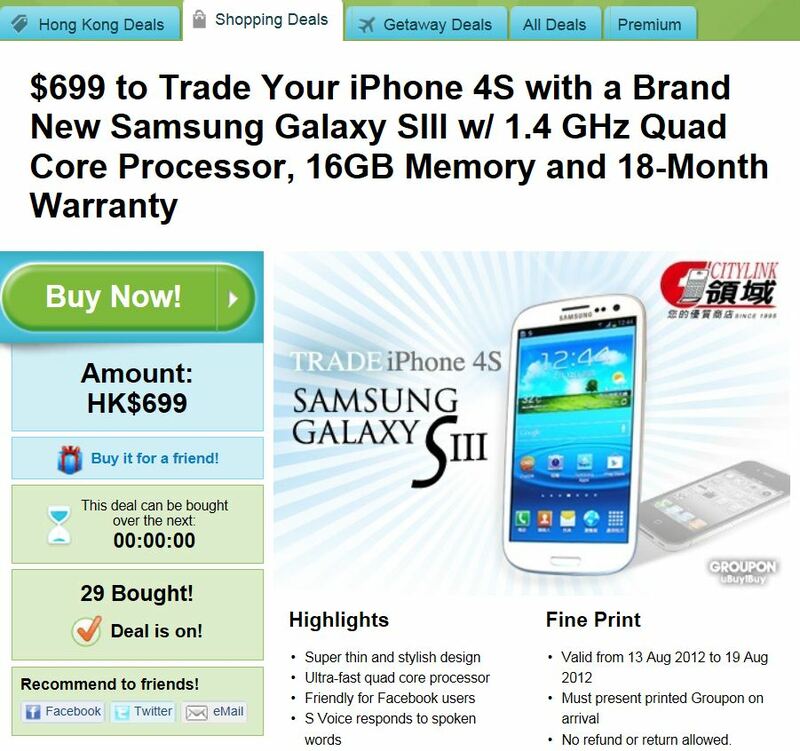 There was a recent deal on Groupon in Hong Kong, which offered a Samsung Galaxy SIII in return for an iPhone 4S plus 90 US dollars. While this seems quite a steal, there were not many takers for this deal. This implies that either folks are not keen on the switch (iPhone 4 s to SIII), or that there are better (cheaper!) trade-in offers available in the Hong Kong market. Note that long-term contracts are not in vogue in this market, hence contract lock-in can be plausibly ruled out as the cause for low uptake of this offer. An analysis of Android Apps shows that the best way to combat the App Deluge is to create a network of Apps that cross-promote each other. In other words, with App Discovery becoming more and more difficult (especially in the Android ecosystem), if customers find one of your apps, make it count by cross-selling your other apps to them! Wouldn’t it be nice if there were a crystal ball to predict the potential success for a mobile app? Unfortunately, there isn’t (yet) but the next best thing might be here: A look at the success rate over 6 months from more than 100,000 Android(s goog) apps in 200 countries. In-app monetization exchange inneractive worked with AppsGeyser to find out the percentage of apps that gained wide adoption within a half-year of launch, noting that the chances of getting 50,000 downloads has diminished over time. That’s likely due to the growing market for mobile apps; it’s harder to stand out from the crowd. What raises the success rate to help get 100,000 or more downloads? Develop and launch a network of apps to cross-promote your titles; a smart idea if you have the resources.